Since 1920, this super luxury hotel has occupied a privileged place in the hearts of the people of Oran. The expertly-renovated hotel expresses its refined character through antique furnishings, oriental sculptures and works of art as well as original pai ntings. In this oasis of serenity you will find 112 bright rooms and suites evoking the golden sand of Mediterranean shores with its shades of beige, embellished here and there with hints of sky-blue. 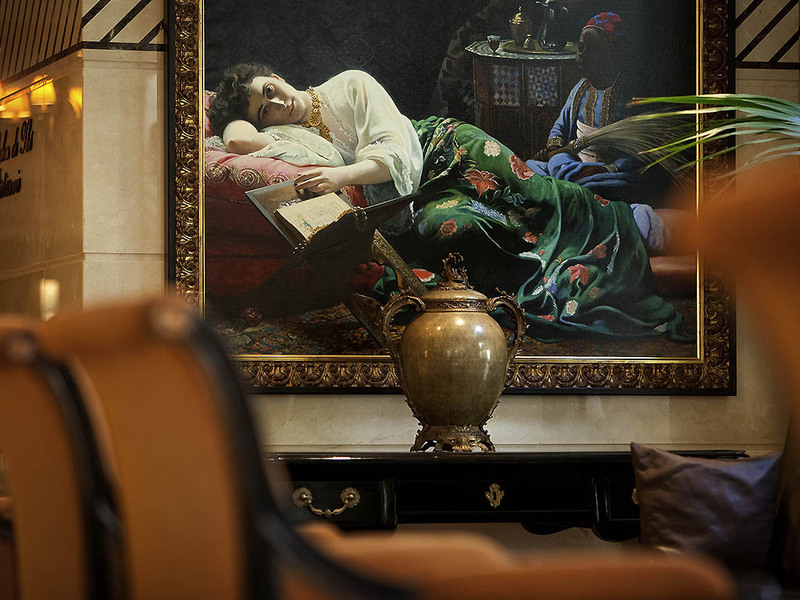 This expertly renovated hotel expresses its refined character through antique furnishings, oriental sculptures and works of art as well as original paintings. In this oasis of serenity you will find 112 bright rooms and suites evoking the golden beaches of the Mediterranean with its sandy shades, embellished here and there with hints of sky-blue. The luxurious and sophisticated Les Ambassadeurs restaurant can accommodate 100 people and offers a wide selection of gourmet dishes combining local know-how and international flavor. The welcoming Alhambra restaurant can hold 100 people and offers variety in its buffet breakfast as well as its à la carte menu and local dishes. Le Pacha is inviting and sophisticated and can hold up to 70 guests in a cozy atmosphere. The blend of warm colors and refined decor bestows on it an atmosphere which is welcoming, elegant and comfortable.